This mechanism uses a ratchet to turn a wheel. Pull the tab and the wheel advances by one tooth. Three pulls for a full turn. 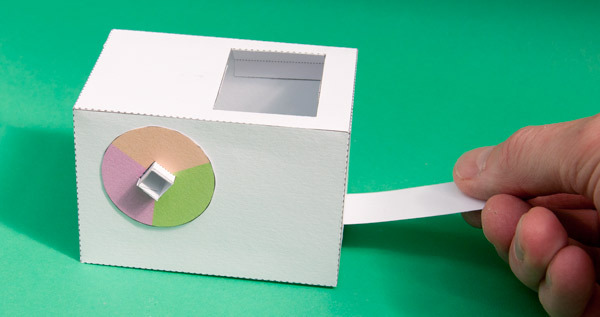 Members can download the parts to this project for free. 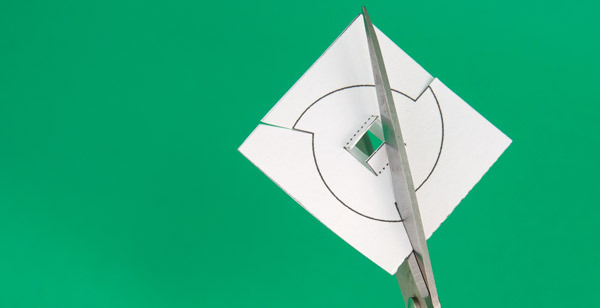 Print out the parts onto thin card (230 micron / 230 gsm) Score along the dotted lines and cut out the holes before carefully cutting out the parts. Use PVA white school glue to stick the parts together. Fold the gear wheel in two and glue it back to back to make it double thickness. Notice that the tabs aren't glued. Once the glue is dry carefully cut out the gear. Fold up and glue together the axle. Glue the gear to the centre of the axle using the grey areas for alignment. Glue two of the washers in place on the axle as shown. 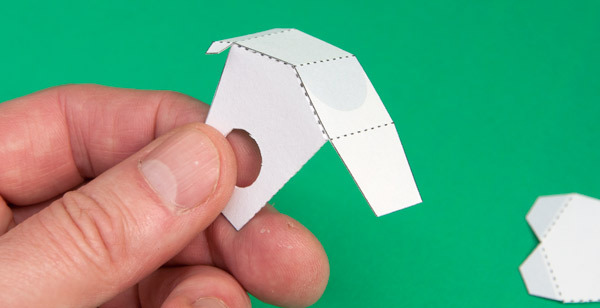 Fold the two pawl supports in half and glue them down to make double thickness card. 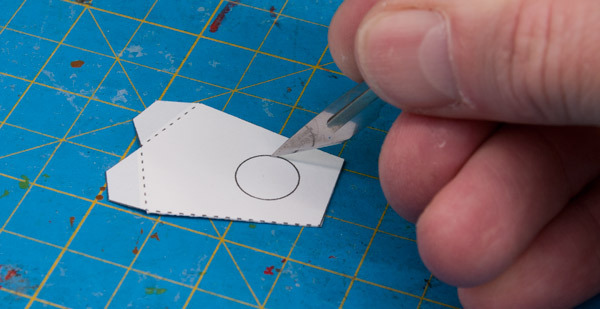 Let the glue dry then carefully cut the hole out with a sharp knife. Glue the pawl piece to one of the pawl supports. Thread the axle through the hole in the pawl support. Use the picture above to make sure that the gear is the right way round. To test, the gear should turn one way only with the pawl clicking as the gear turns. Add the second pawl support into place. Glue the remaining washers to the ends of the axle with the tabs pointing inwards. 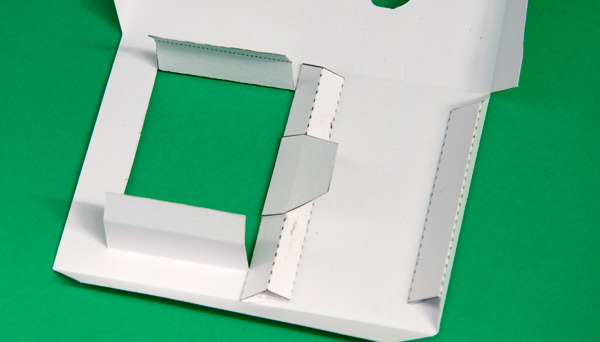 Glue the pull tab to the pawl housing on the grey area. 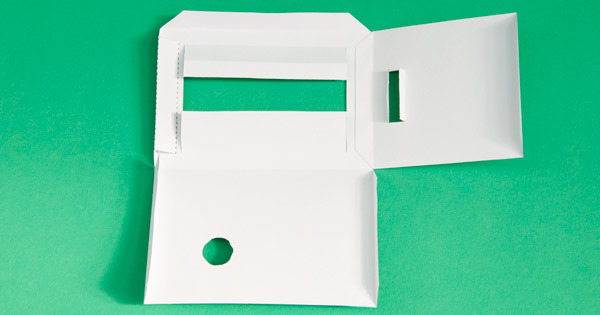 Fold round the tab on the base of the box to make a triangular tube section. Repeat on the second box part. 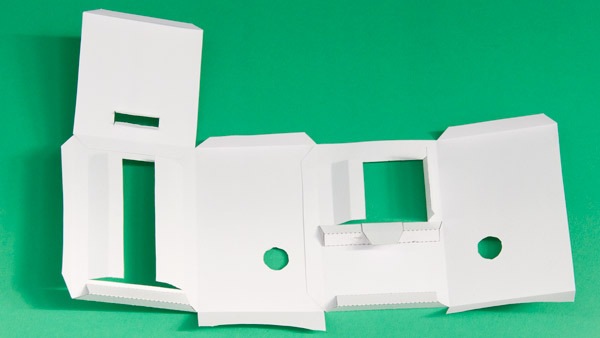 Glue the pawl support to the inside of the box in he position shown above. Glue the secondary pawl into place on the grey area on the pawl support. 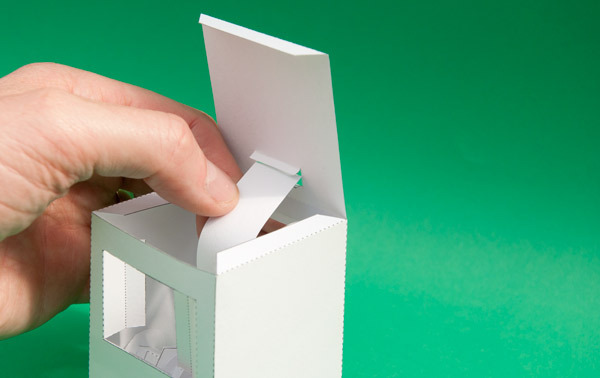 Glue the box lid into place on the box with the larger vertical opening. Notice that the slot in the box top is closest to the box. 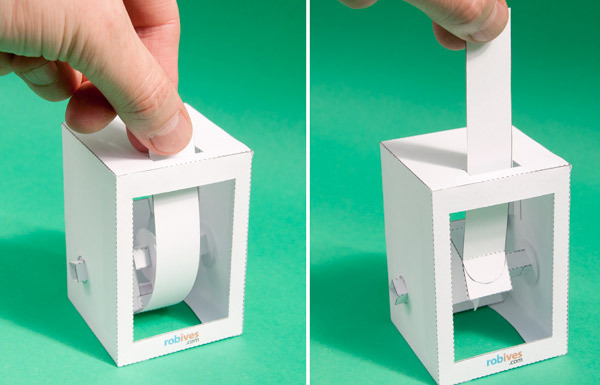 Fold the box round the axle with the ends in the holes. Make sure that you get the axle in the right way round, use the picture for alignment. 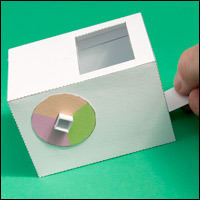 Glue the box closed. Thread the pull tab up through the slot in the box top. Glue the lid down. Glue the tabs on the base into place. 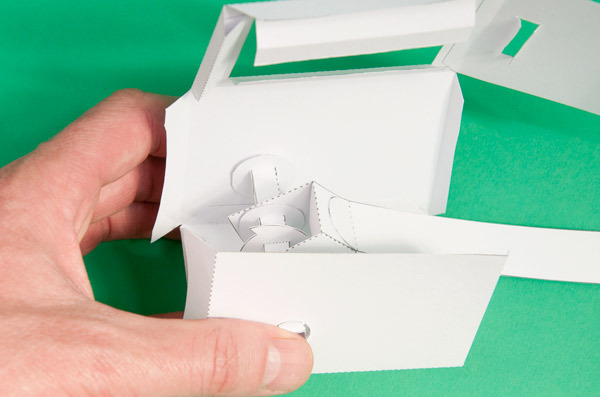 Fold the vertical tabs inwards and glue them to the inside of the box. Once the glue is dry, pull the tab up and down and the gear should advance one tooth at a time. The model will also work lying on its side. Glue the coloured wheel onto the axle to more clearly see the rotation. The ratchet can be the starting point for your own animated models or simply as a model demonstrating an interesting mechanism. Let me know what you create! First download by @hugo leandro seven minutes after this post went live 🙂 Have fun Hugo! Thanks for the nice model, Rob. Have a Happy Easter to you, your family and to everybody!